The Scholarship is established to encourage students to undertake a Bachelor of Optometry, or Postgraduate study through the School of Optometry and Vision Science at UNSW. Applicants must be proposing to undertake, or currently undertaking, full-time study in any year of the Bachelor of Optometry or Postgraduate study in the Vision CRC at UNSW. Selection will be based on academic merit, and reasons for undertaking the current or proposed study. 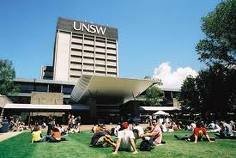 Consideration will also be given to any social and/or economic circumstances which may hinder success at UNSW. Completed application forms and any supporting documentation should be scanned and emailed (preferably as a single pdf document) to the Graduate Research School on scholarships.grs@unsw.edu.au by the specified closing date. Demikian kami sampaikan tentang OVRF-Maki Shiobara Scholarship, University of New South Wales, Australia semoga informasi tentang OVRF-Maki Shiobara Scholarship, University of New South Wales, Australia ini bermanfaat.